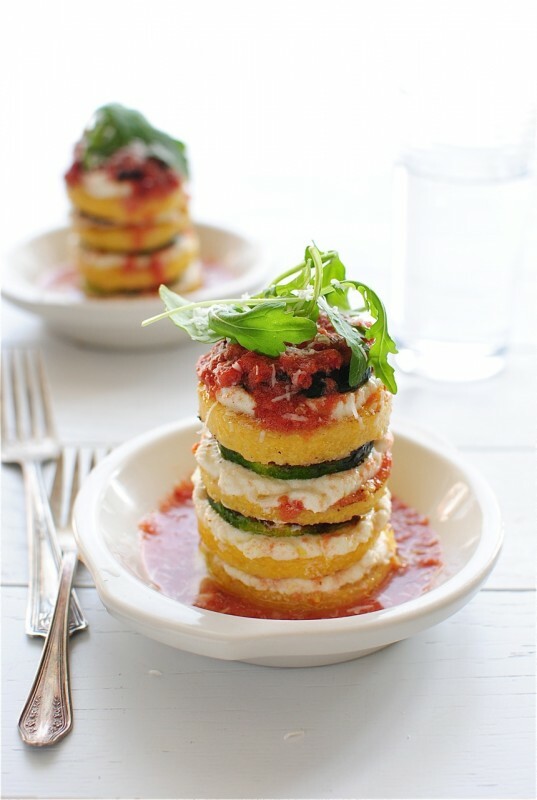 I'm a huge fan of polenta and this recipe for Vegetarian Polenta Lasagne Stacks from Bev Cooks immediately caught my eye. 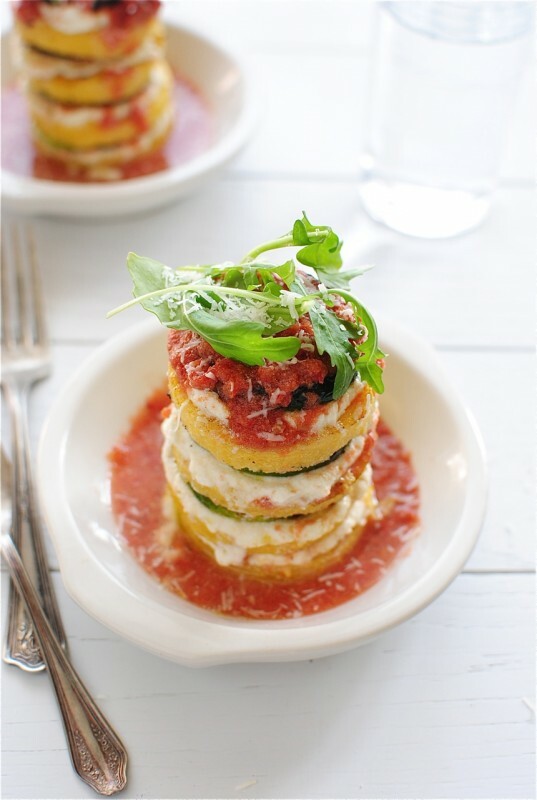 It's a perfect dish for using the end-of-summer zucchini and a great alternative to traditional lasagne. And, a lot less labor intensive! I tend to buy polenta in logs and am always trying to think of new recipes to incorporate it in. I love the individual serving presentation of this dish ... it's very pretty on the plate. I'll be making this for Labor Day! Click here for recipe and to see more lovely dishes from Bev Cooks. Thank you for inspiring me today Bev! 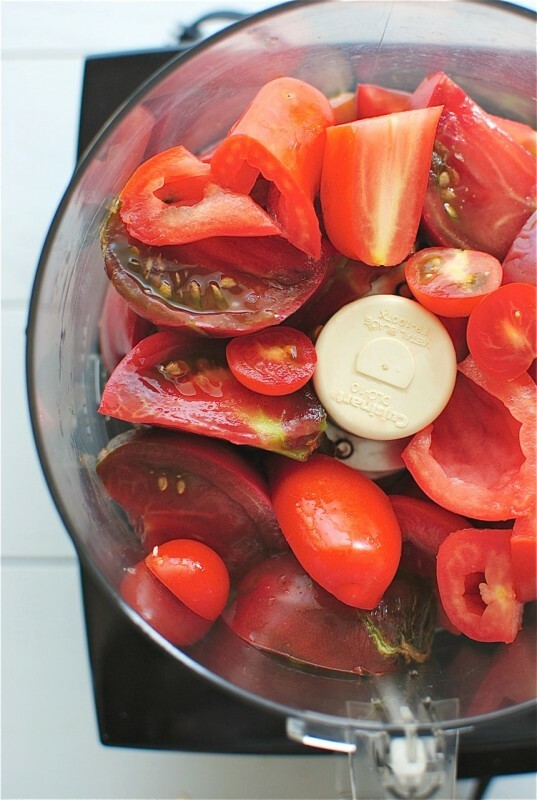 Have a great Labor Day & Buon Appetito!